The Media Specialists Association of the Philippines (MSAP) is a duly recognized non-stock and non-profit organization under the Securities and Exchange Commission. Incorporated in 2009, the Association’s members hail from various Media agencies and individual practitioners. 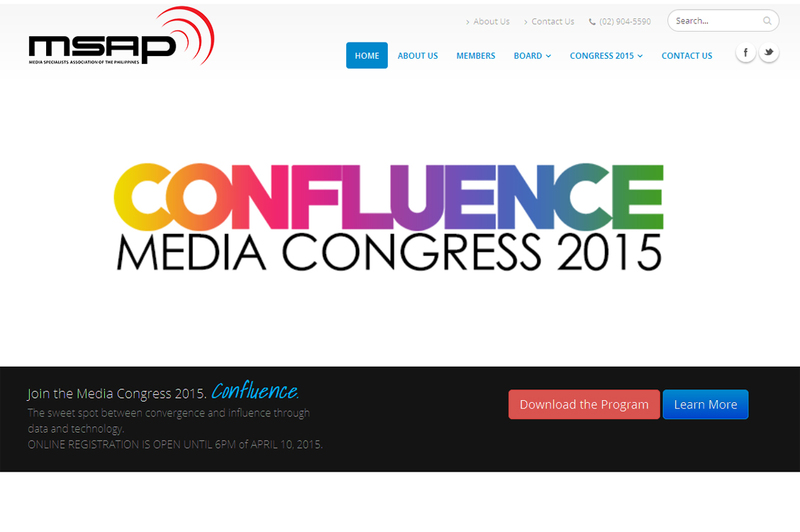 The website featured Confluence: Media Congress 2015, an annual congress bringing together a host of media specialist organizations, groups, individuals and practitioners from all over. The MSAP website features a directory of its board, officers and members. The Congress site also showcased an exclusive section on event registration, signup form and other relevant information for the interested attendees. It also provided for video uploads from the AVP to the actual events.